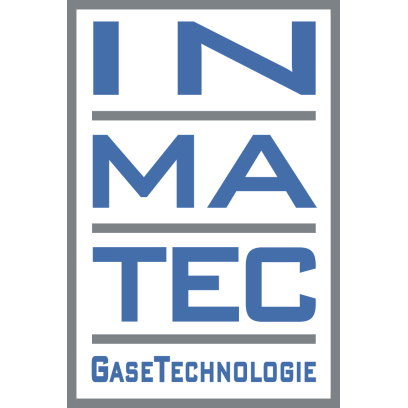 INMATEC GaseTechnologie GmbH & Co. KG is at HANNOVER MESSE 2019 to showcase new nitrogen generators designed to produce ultrapure nitrogen while ensuring maximum energy savings. INMATEC is an international market leader in the manufacture of nitrogen and oxygen generators. The company has development and production operations in Germany, with approximately 5,800 systems installed around the world. The IMT PNC series being unveiled in Hannover has been designed to generate ultrapure nitrogen (6.0) at minimal cost and with complete control of all operating values. The brand-new PNC technology developed by INMATEC combines innovative flow technology and advanced vortex technology to boost the efficiency of the PSA technology used. As a result, when nitrogen molecules are separated from oxygen molecules, significantly more oxygen is produced with less compressed air required, thus saving on energy and costs. What's more, special volume-controlled technology optimizes N2 generation cycle times. Combined with speed-efficient compressors, this cuts compressed air requirements even further. INMATEC is also keen to highlight the continuous measurement and monitoring of all operating values. The recorded nitrogen purity and the starting pressure can be read at any time via the touch control panel L. Remote access also ensures the generator can be monitored and controlled from anywhere in the world. This Industry 4.0 standard (remote monitoring box) offers the best possible protection for the complete production process.